To access the rehearsal times for staging and dress rehearsal please go to the link below. There are also additional details for performances and registration forms for the 2019-2020 dance season! On with the show! Registration $250.00 (HST included) per week, with a reduced rate of $200.00 (HST included) for the second week of the same camp. Registration $150.00 (HST included) per week. Students will be exposed to a variety of dance genres including Ballet, Jazz, Broadway, Contemporary, Hip Hop as well as choreography classes and arts and crafts. Looking forward to dance fun in the sun! Please complete the registration form and submit registration fee by cash or cheque dated July 1st, no later than May 11th. Please note: Payment must accompany registration form to hold space. Tuesday, August 28th, Wednesday, August 29th, and Thursday, August 30th from 12:00 noon to 6:00 p.m. Please note that payment at registration is accepted in the form of cash or cheque only. Thank you! 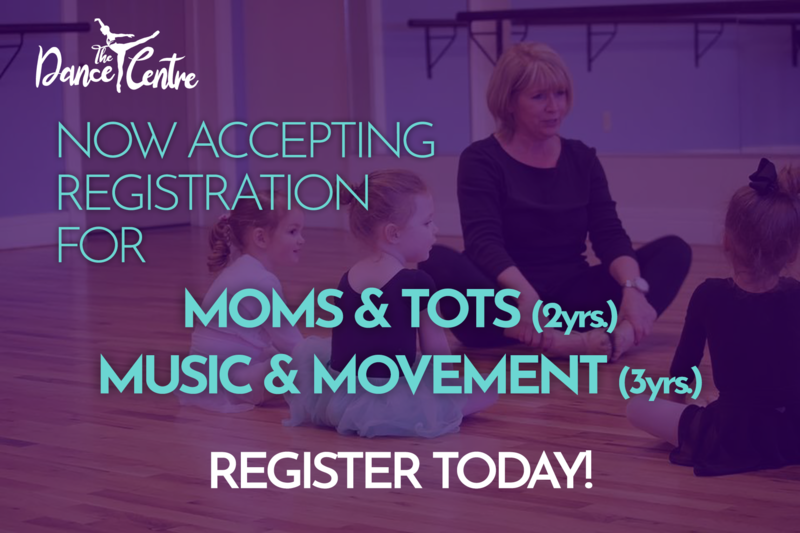 New Students - For pre registration and to hold spaces for September please contact us by email at info@thedancecentreonline.com or by phone 753-8782. Previous Students - We will forward an email early August regarding final registration. Spaces will be held for you until August 31st. Fall classes will commence on Wednesday, September 5th, 2018. Introduce the world of ballet to your child at an early age! Music and MovementAn introduction to ballet for children 3 years old before September 1st, 2018. Mom and TotsA ballet program for you and your child to enjoy together. A thirty minute class leading two years olds into the world of Ballet. Children must be 2 before September 1st, 2018. In person registration begins August 28th at our Ropewalk Lane studio, continuing to August 30th, 12-6pm. 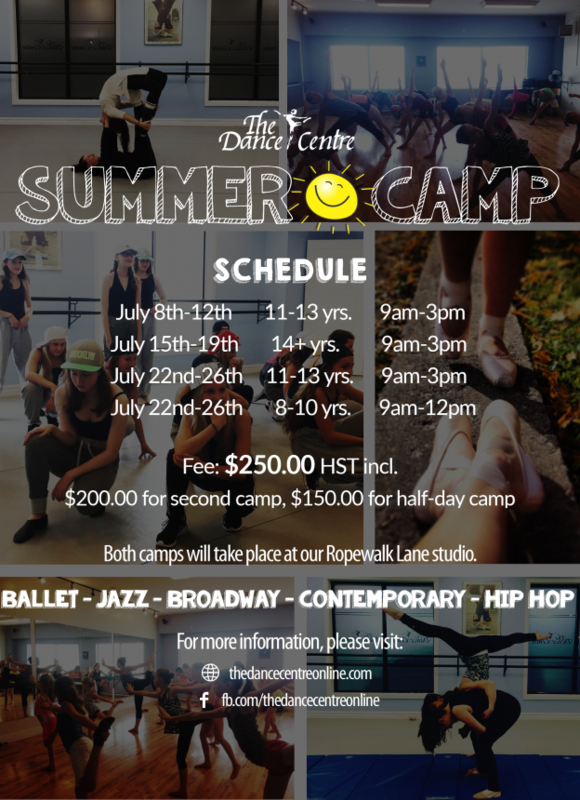 Spaces can also be confirmed by email at info@thedancecentreonline.com or by phone 753-8782. For more information on registration, and class schedules see our Fall Registration Post.